The 12 qt. commode bucket and cover easily removes from behind. 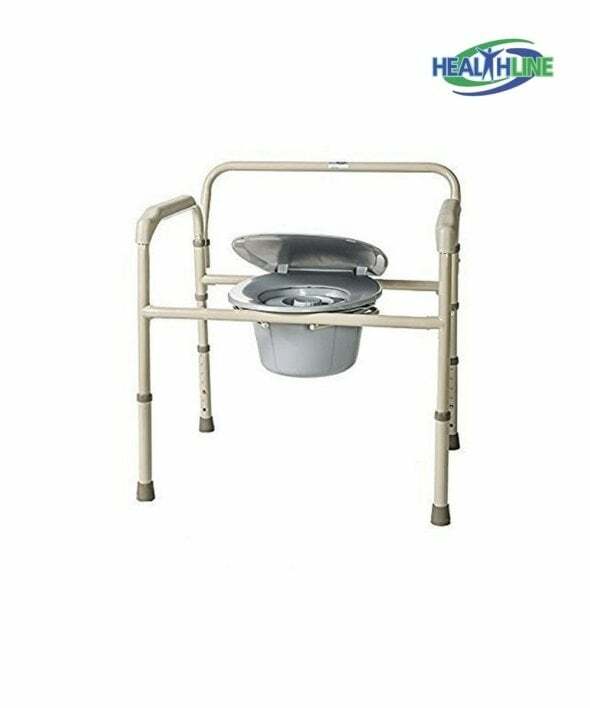 This heavy duty commode is one more quality addition to the set of amenities for post surgery patients. 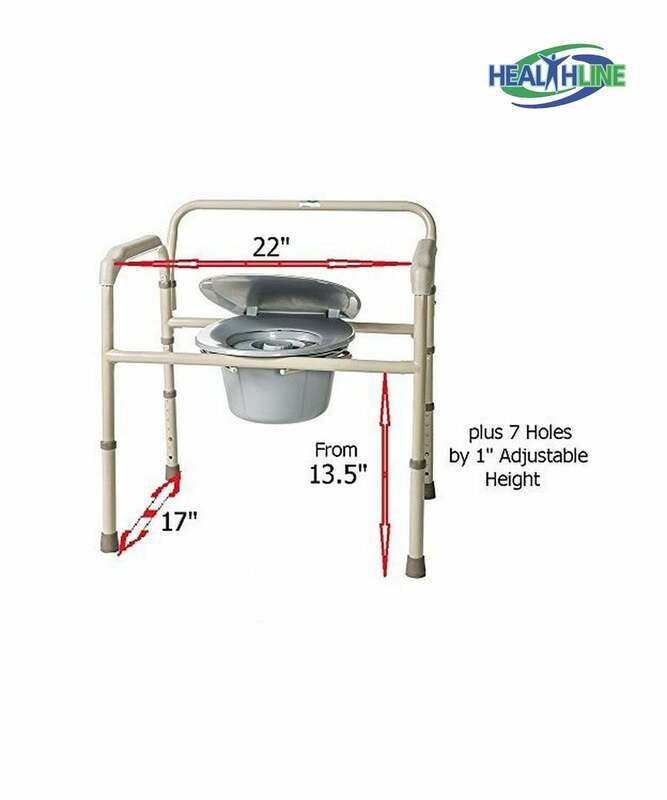 This commode will fully satisfy the needs of an elderly, a post injury patient or any other patient with limited range of motion. An accessory like this heavy duty commode will complete a bedroom or a bathroom of a disabled person very well. 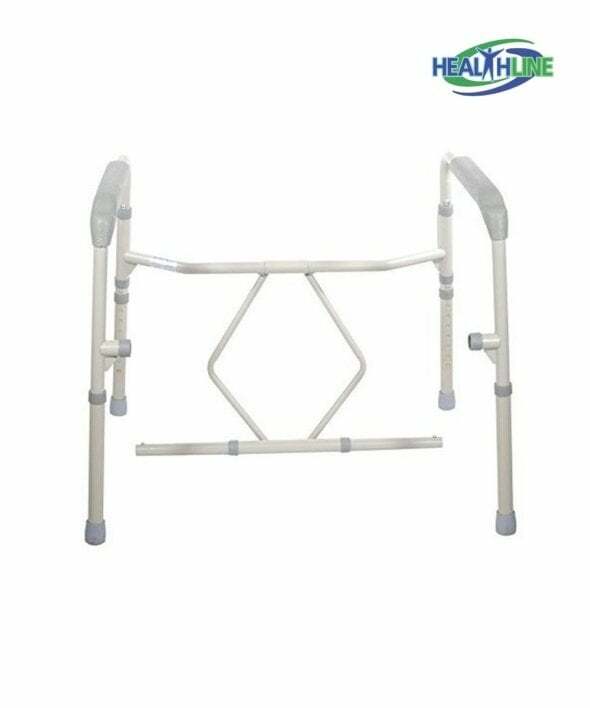 It has a very sturdy quality to it, this way it can act as a safety frame or a help up from the horizontal position. Thanks to the 12 quart bucket, that comes complete with a seat and a cover, going to the bathroom has never been easier, especially for a person needing aid on the daily basis. 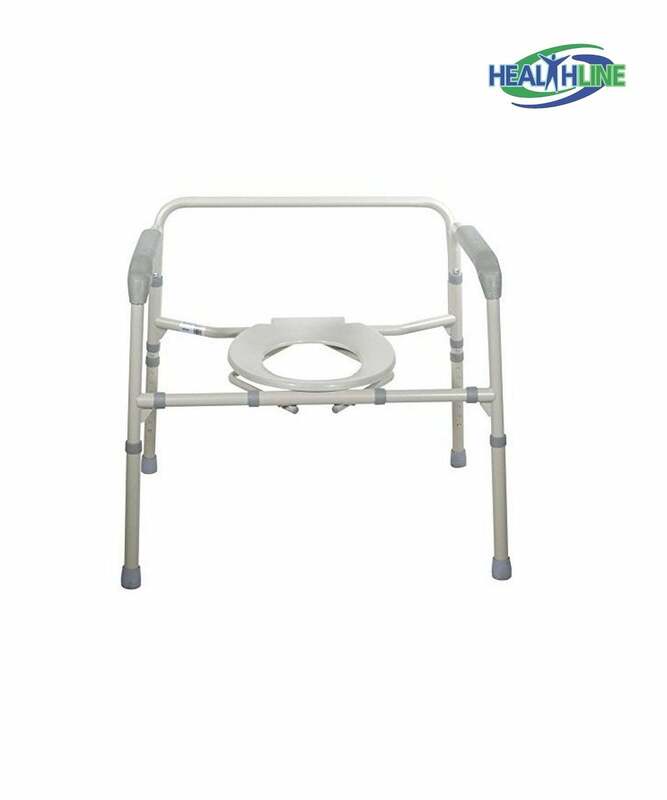 Thanks to its durable construction, this heavy duty commode chair is able to handle weight up to 450 pounds. The snap on seat can be easily removed from behind, facilitating the patient’s transfer back to the bed. Medical grade materials: durable plastic and powder-coated steel tubing is easy to clean and maintain. 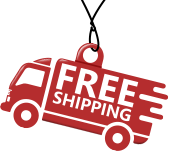 Backrest rail provides considerable support for the back in the seated position. The height of the commode adjusts thanks to push button mechanisms. Each leg of this heavy duty commode is complete with a rubber non skid tip for your safety and secure use of this commode. I bought this bariatric commode with toilet chair for my mother-in-law. She lives with us in a quite big house and long distances to the bathroom are too challenging for her. She weighs at least 270 lbs, but we decided to purchase a heavy duty commode to ensure better comfort and security. This one is simple, comfortable and easy-to-clean.